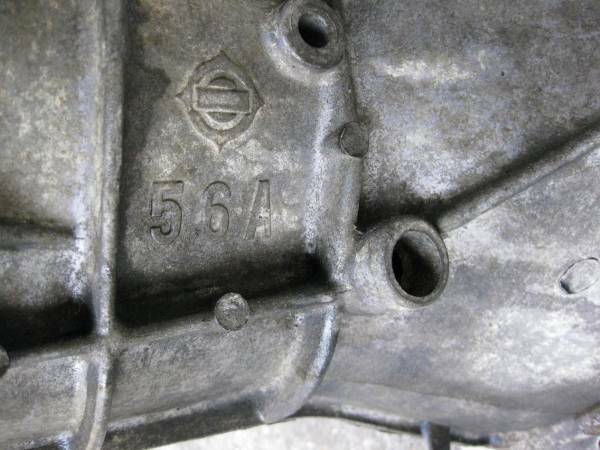 The 56-series is the stock Datsun 1200 transmission. 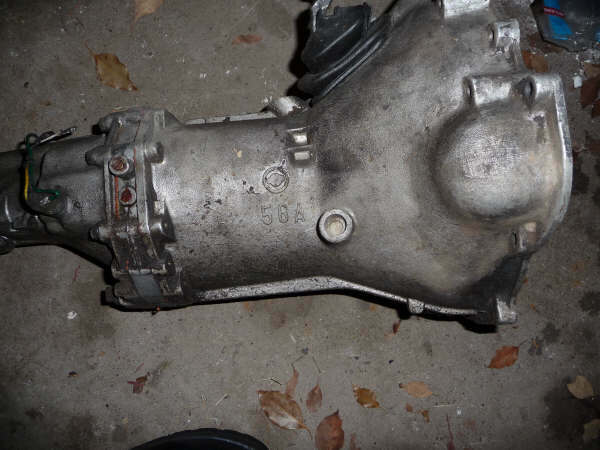 It was fitted to all RWD B-series Datsuns with A12 and A13 engines. 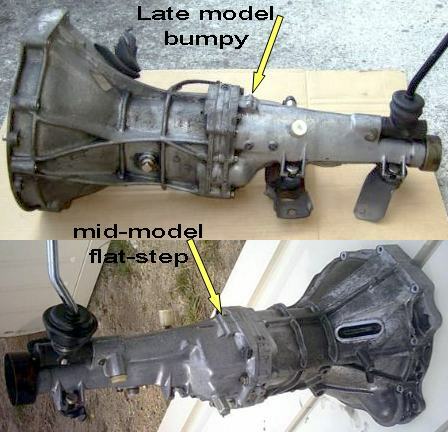 Standard models used 3-speed 56s, while most models used 4-speed versions. The Datsun 1200 GX-5 used a 5-speed version. 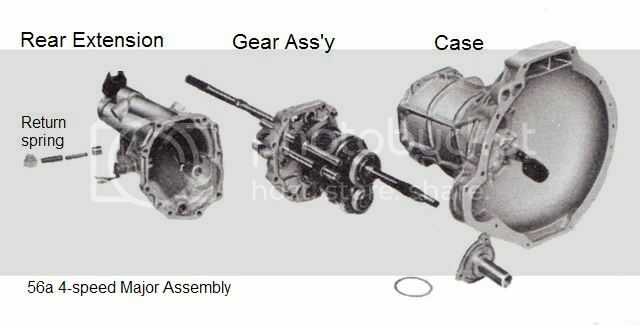 It was designed to handle the torque of an A12 or A13, but for A14 and A15 engines a 60-Series Transmission is recommended. 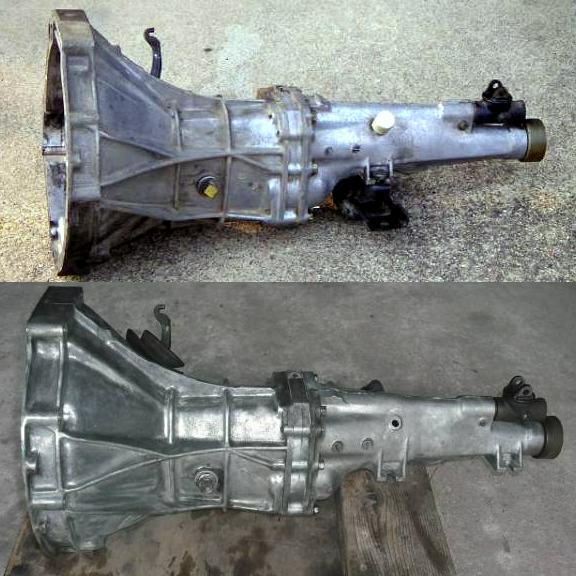 All of the 3 speed, 4 speed & 5 speed 56 & 56A RWD gearboxes were the same overall length. 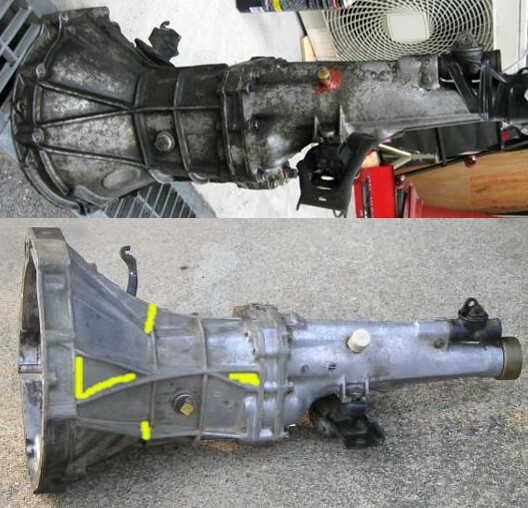 There were also FWD versions of the 56 gearbox. These are manufactured by Aichi Machine. 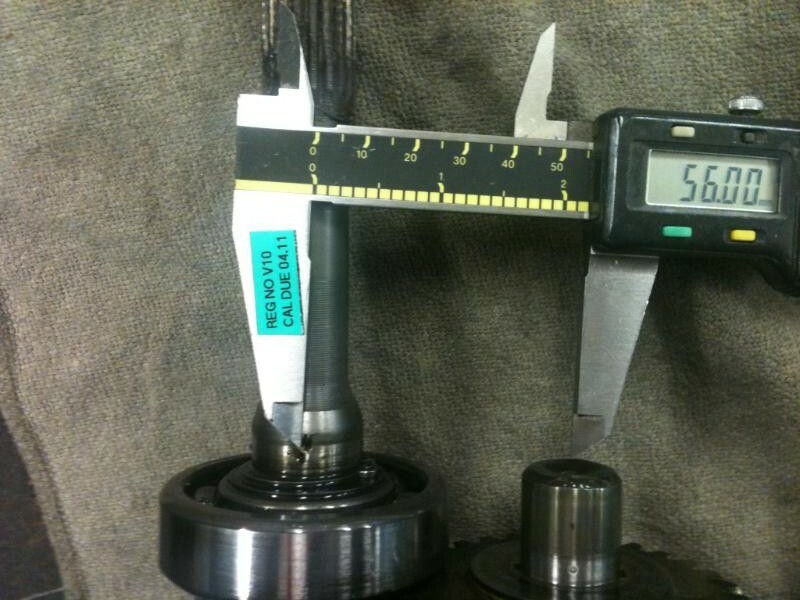 56: distance in mm between mainshaft and countershaft (with larger distance implying a larger, stronger transmission). 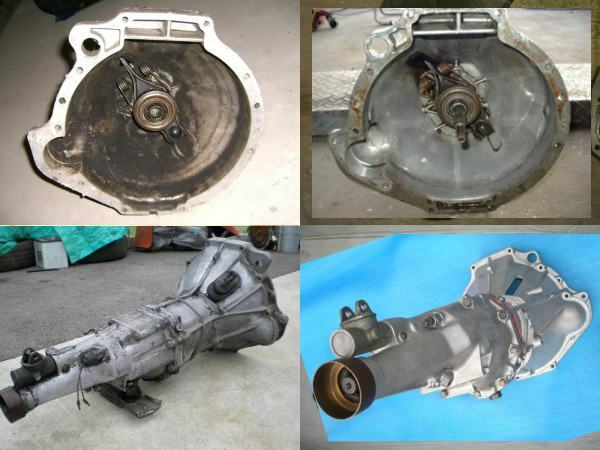 Nissan models included 60-Series Transmission and 63-Series Transmission and the 71- used in the bigger Nissans. A, B, or C is the evolutionary series for the box as they get older. Some boxes have an L suffix for long extension housing versions. Direct drive boxes have a "direct drive" suffix after the box numbers. 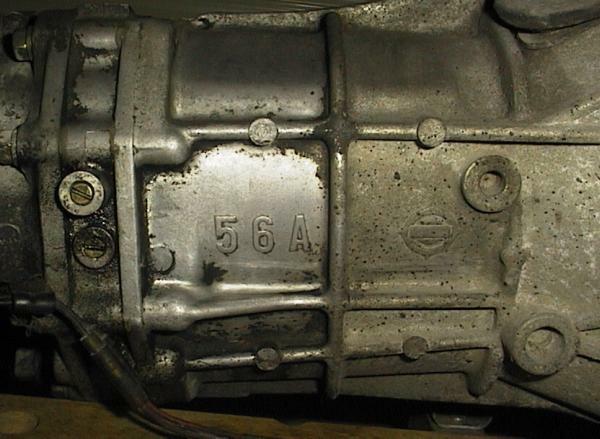 The Nissan chassis code (not transmission code) has F = Five-Speed, and T = 4-speed , e.g. 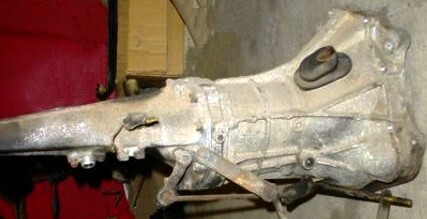 B110GFK was GX Five-Speed. 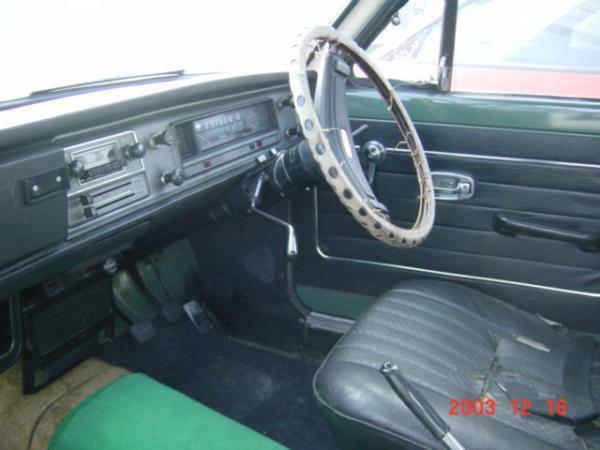 And B110GTK was GX Four-speed. The T holds true for export models as well. 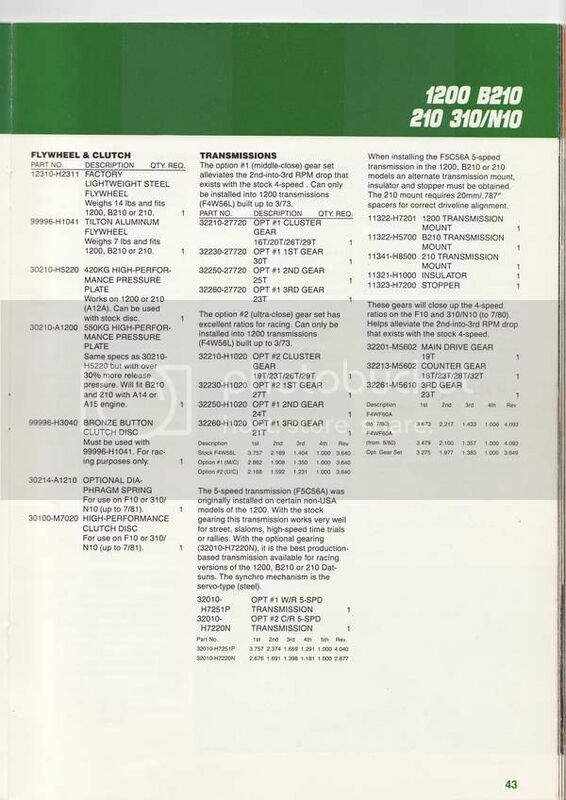 The full body codes aren't on the underhood plate, but you'll see some of the extended codes on the cover of the owners manual. 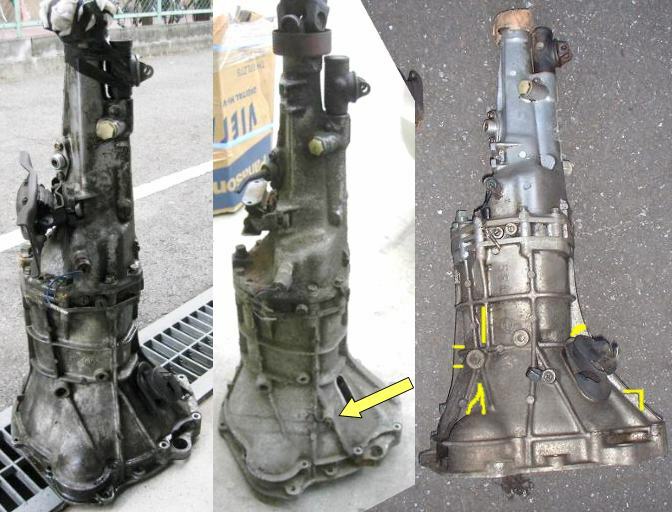 The close ratio 'option' boxes were normally available only as a separate purchase from the Datsun Competition department [through various outlets], so it did not come as a 'factory' option in B110 & B210 models, however I believe that some dealers in Japan were either fitting 'option 1' five speeds, or buying the conversion parts & upgrading the F5W56A gearboxes in new GX5's during pre-delivery for 'special' customers. 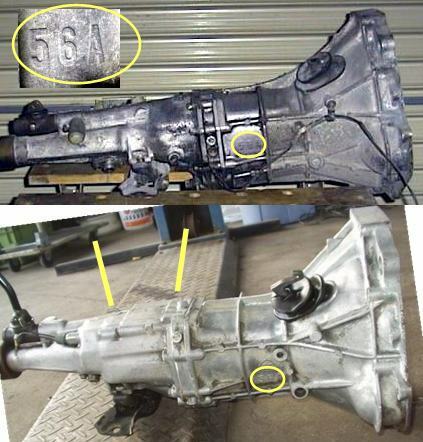 Discussion: GEARBOX NUMBERING AND BASIC INFO. 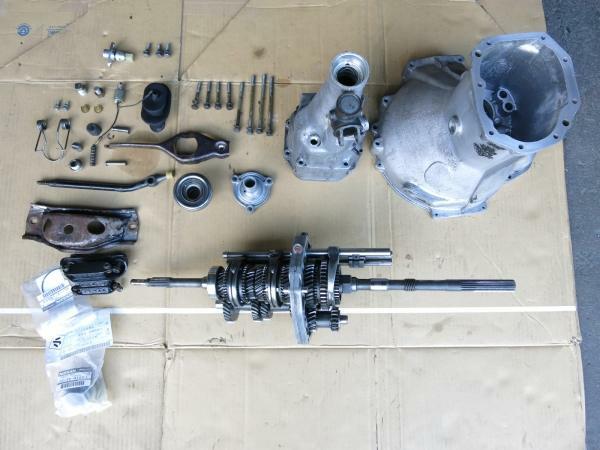 Standard trim (STD) Datsun 1200 models came standard with an R3W56 transmission. 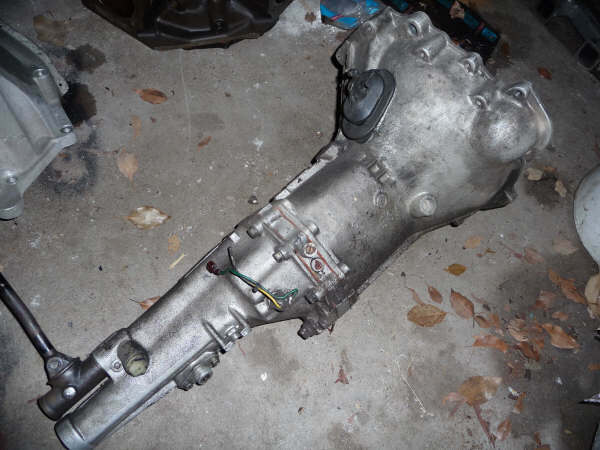 This was a remote-shift box with a steering-column mounted shifter. The stock sport transmission is fine for city driving. It has wide-spaced gears to allow a steep 1st for easy takeways. 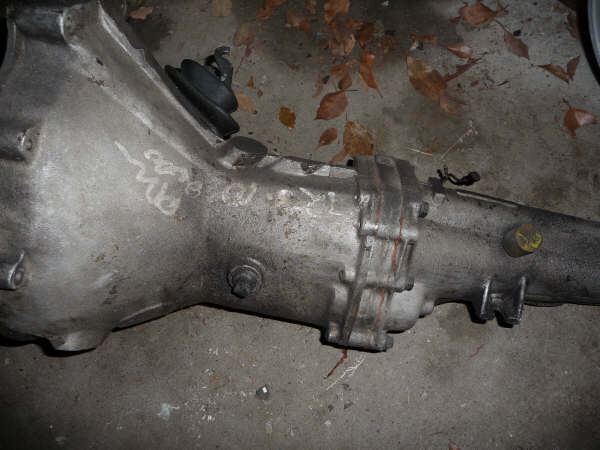 The option #1 (middle-close) gear set alleviates the 2nd-into-3rd RPM drop that exists with the stock 4-speed. 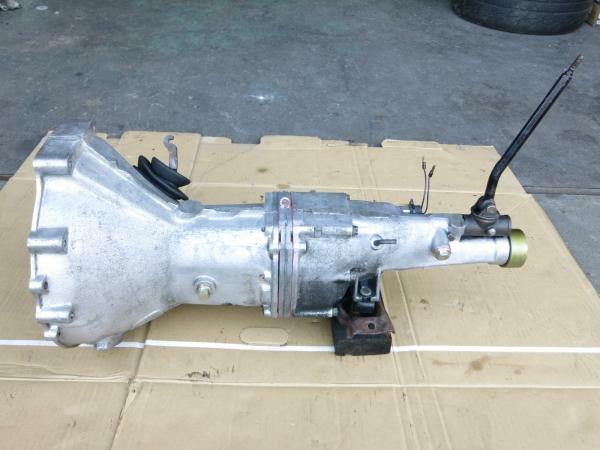 It can only be installed into 1200 transmissions (F4W56L) built up to 3/73. 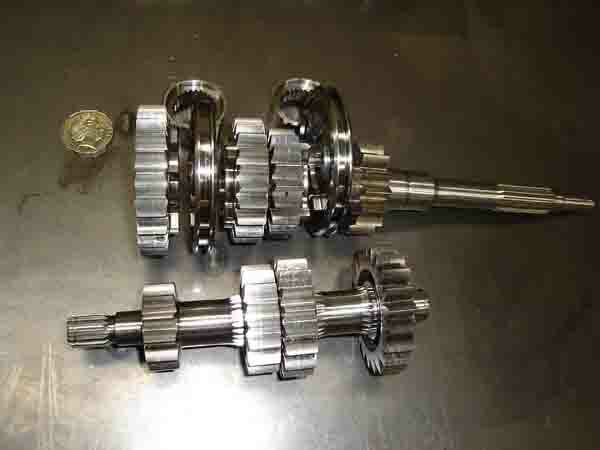 The option #2 (ultra-close) gear set has excellent ratios for racing. 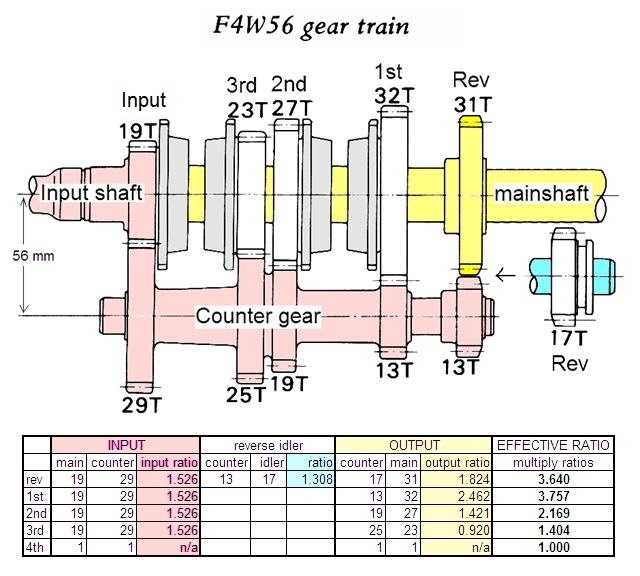 The gearset can only be installed into 1200 transmissions (F4W56L) built up to 3/73. 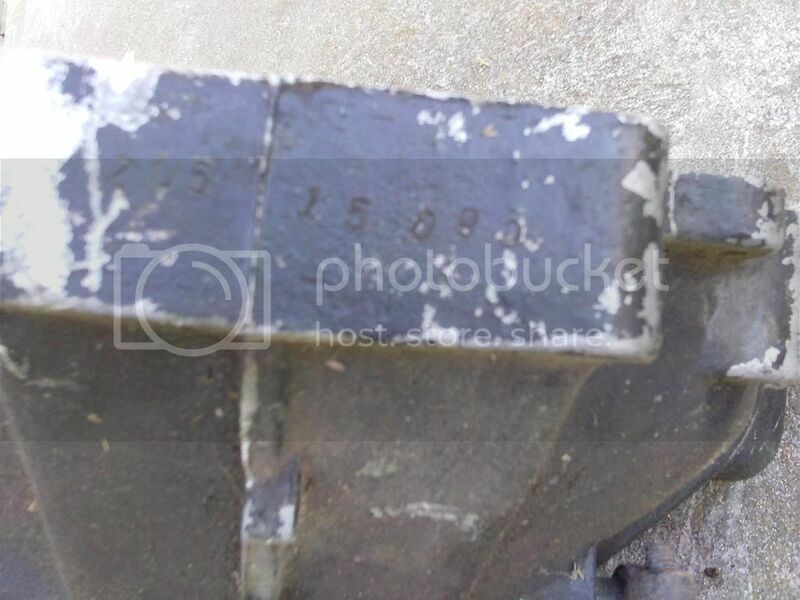 stamped 'Z U 5 15090'? Also look for the distinctive "ribbing" around the circumference of the front case. 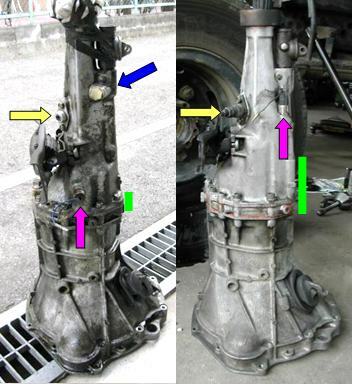 Other Nissan transmission are more smooth. This is in various places on the right side of the case. It may be a production variation. 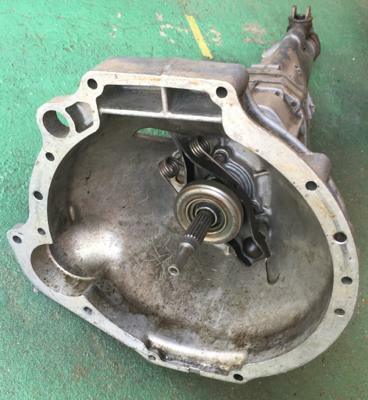 All the 56L three speed & four speed gearboxes shared the same gearbox case with integral bellhousing. 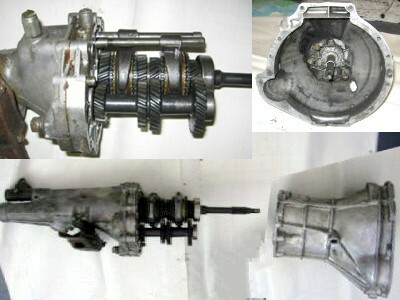 All the four speed & five speed 56A gearboxes shared the same gearbox case with integral bellhousing. 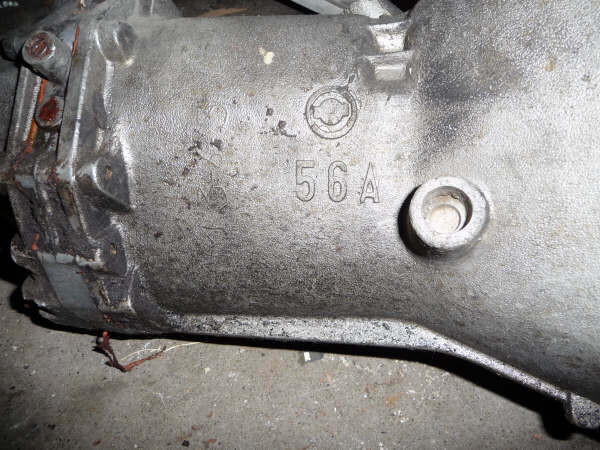 The three speed appears to have been discontinued with the introduction of the 56A series. The 56A versions are just a model revision, with slight changes. 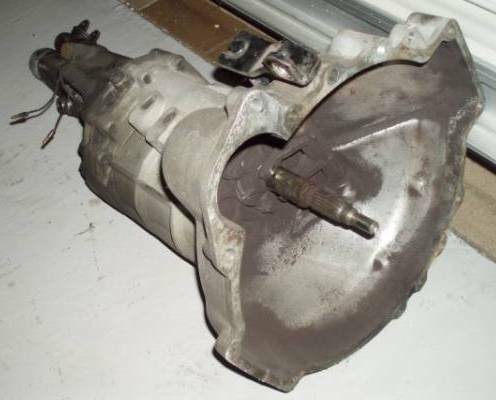 It debuted with the Datsun 1200 Truck (B120) (FEB 1971) with the revised stronger transmission (per the parts catalog). It was then fitted to B210s at introduction (1973) and at the same time export B110s (from April of 1973) were supplied with the 56A. 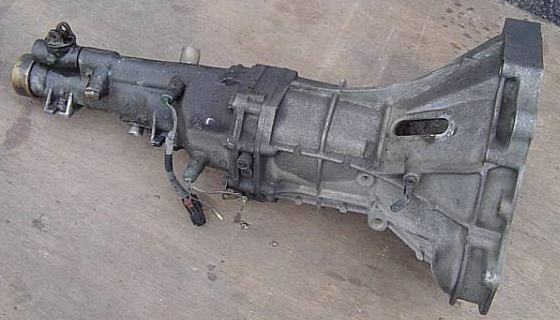 NOTE: There was an 'L' revision of the 4-speed, but never any 'L' 5-speeds. 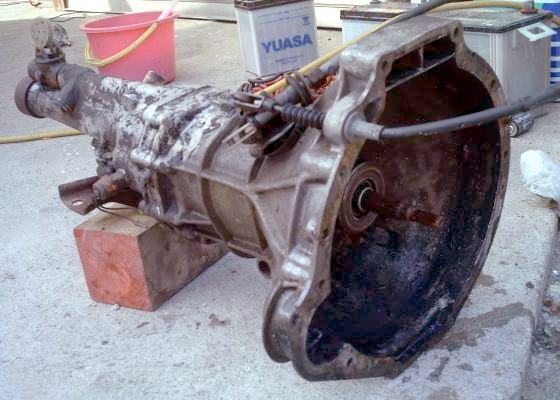 Note that the 4-speed transmission was redesigned for the 56A revision. 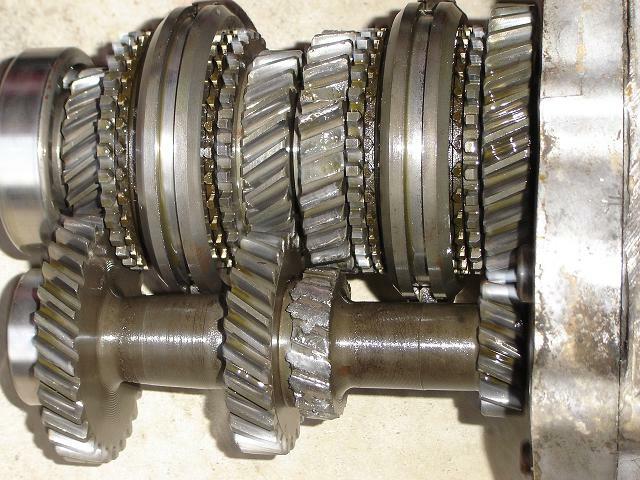 Gearsets are not interchangable between early and late transmissions. 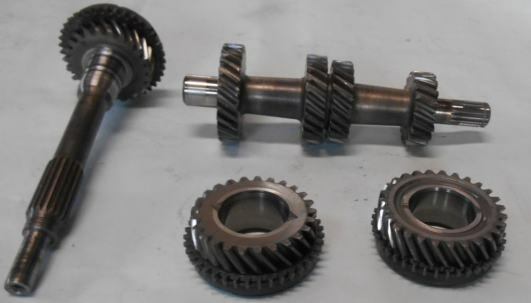 Modifications have been made on the following points to strengthen the gears and bearings, and to improve lubrication performance as well as noise and vibration proof at high-speed driving. 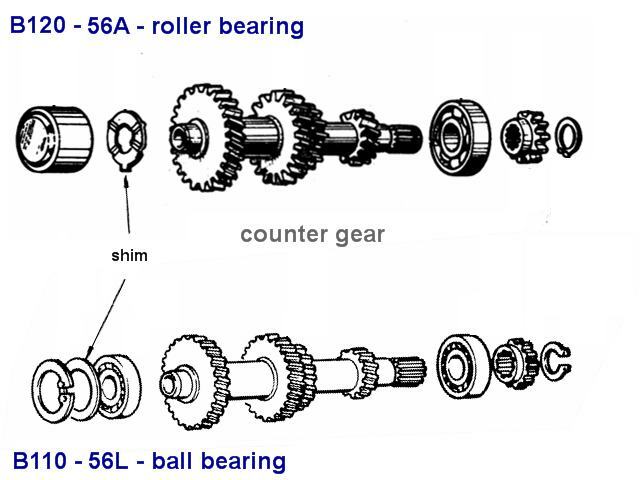 Strengthened gears and bearings: Although there is no change in the gear ratio, each gear has an increased width by 0.039 to 0.079 (1 to 2 mm) and the countershaft, front bearing and main shaft bearing are strengthened. 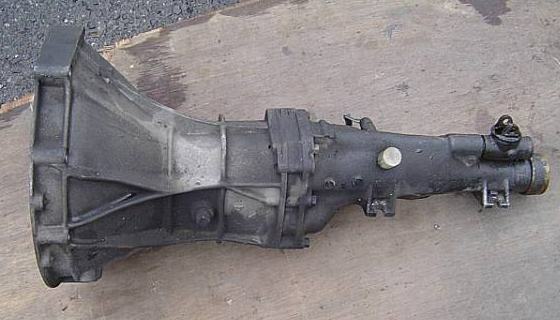 Improved lubrication performance: To ensure proper lubrication in the rear extension bushing, an oil dam is installed in the center of the extension. Reference: Service Bulletin Vol. 188 "Introduction of New Model Datsun B210 Series" page 69, July 1973, Nissan Motor Co., Ltd. Tokyo Japan Telex: NISMO. 1990-1994 Sunny Truck has a unique case Extension housing. Late (heavy duty) tail housing has a bumpy knob on top where it meets the case. 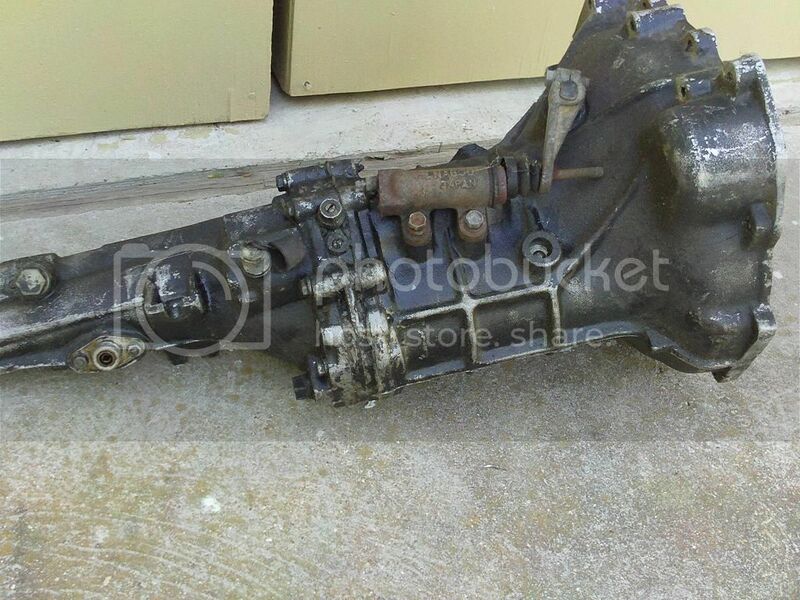 One or two motor mounts bosses? Early or late can come both ways. Why? All 8910-up have both. 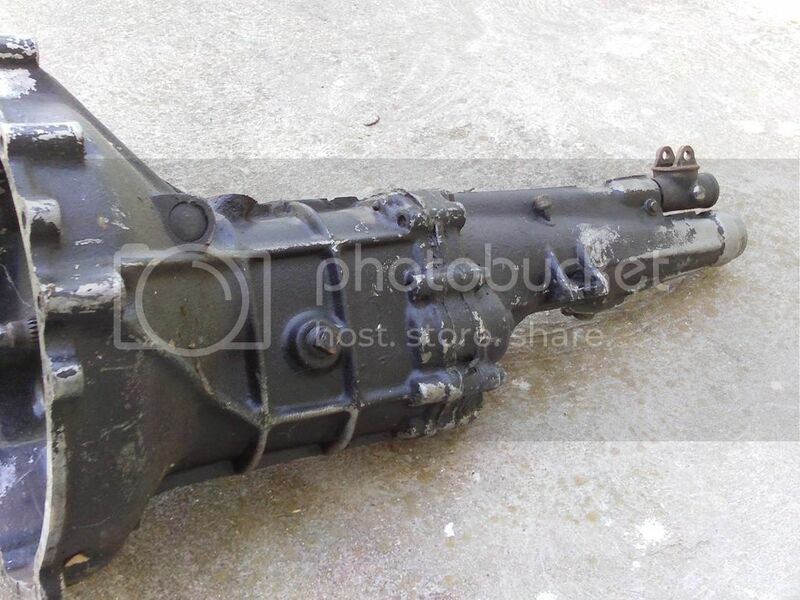 The last one is for an exhaust pipe bracket. Some earliers one have both, however. Album click to view 8910- has both. 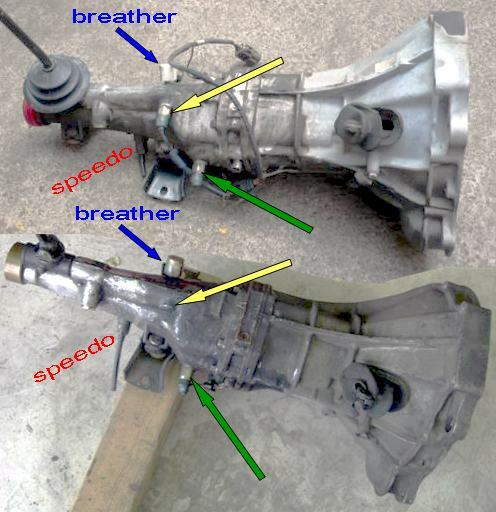 On the Five Speed, the extension housing is a gravity casting (sand casting) which is fatter than the four speed extension, as both reverse and first gear are located in there. 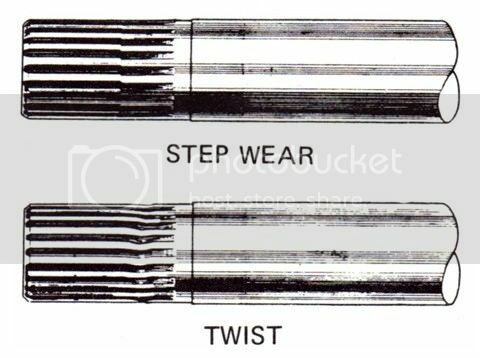 Both first & reverse are in the extention housing which looks to be a gravity casting, while the main case is a pressure die casting. 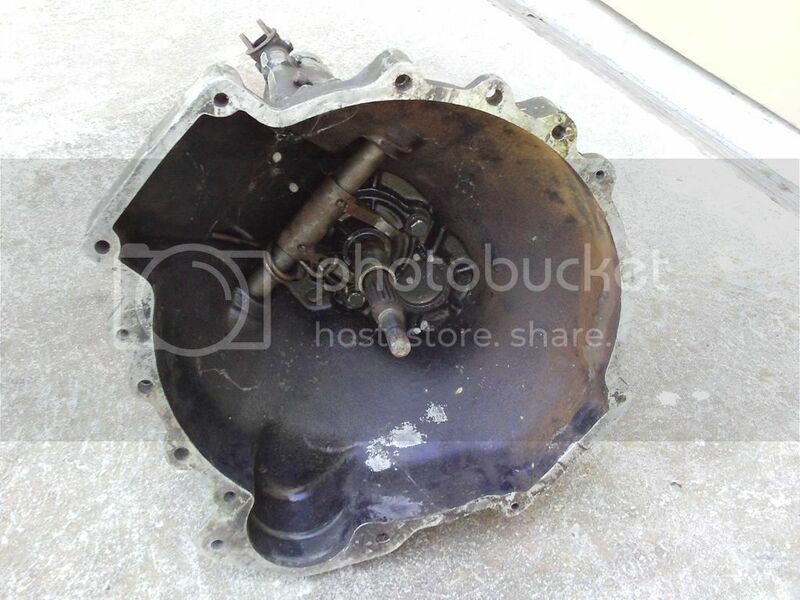 Sandwich plate differs - in the 5-speed, the oil drain plug screws up into this from the bottom. 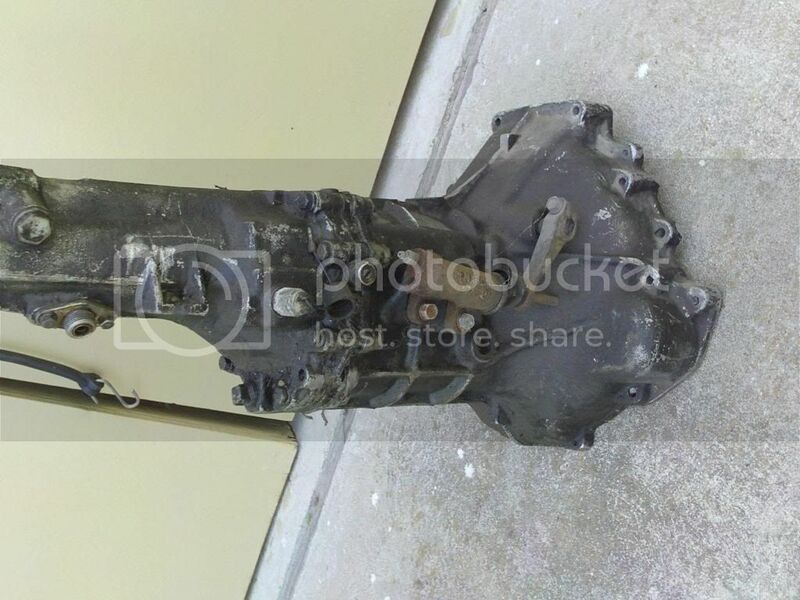 Tail Housing (extension) - 5-speed extension bulkier to encase 1st gear (as well as reverse). 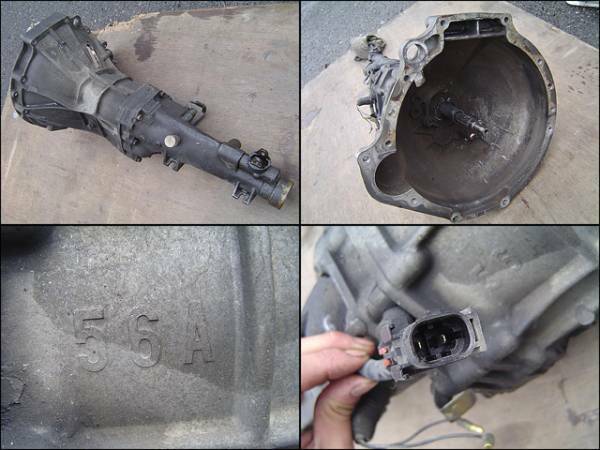 Like the four speed, the reverse light switch is also rearward facing in the five speed 56A gearbox. 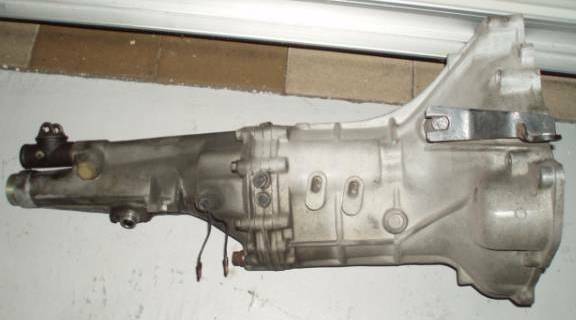 All 56-series transmissions have a reverse switch. 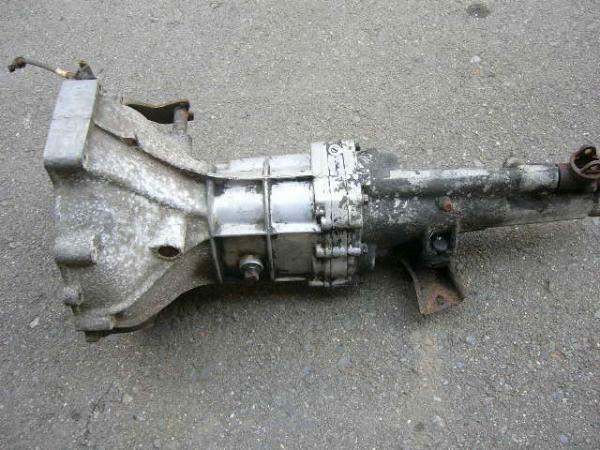 The 5-speed transmission (F5C56A) was originally installed on certain non-USA models of the 1200. 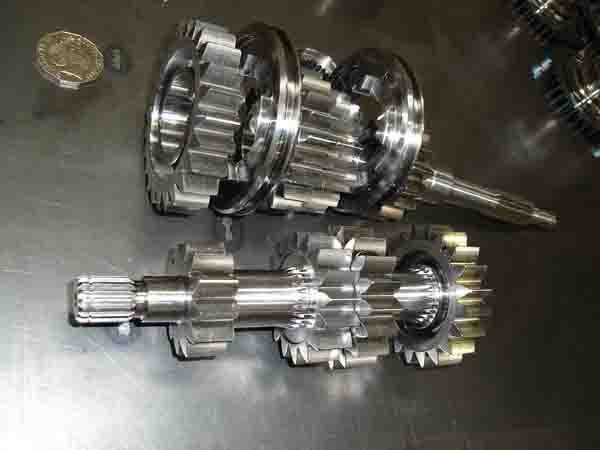 With the stock gearing this transmission works very well for street, slaloms, high-speed time trials or rallies. 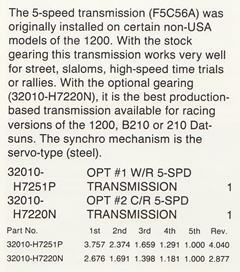 With the optional gearing (32010-H7220N), it is the best production-based transmission available for racing versions of the 1200, B210 or 210 Datsuns. 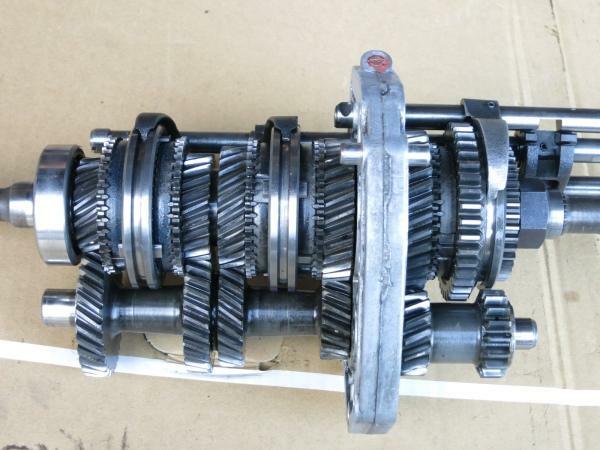 The synchro mechanism is the servo-type (steel). 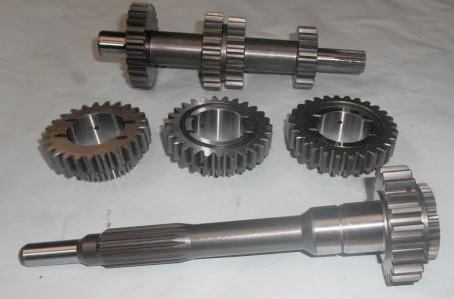 The Counter gear is a single machined piece that includes several gears on one shaft. Part No. 1st 2nd 3rd 4th Rev. Sunny truck Long Body vs Short Body uses different transmission. 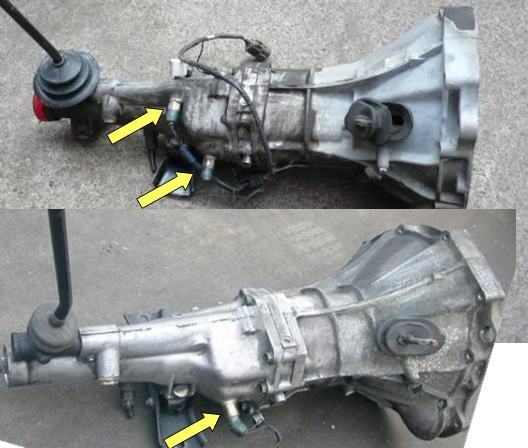 Front case differs slightly, while gears, shifter, and rear extension do not differ. Rare smooth-case 56A with no ribs. The casting itself is different. What did it come out of? This page has been accessed 156,923 times. This page was last modified 09:48, 24 January 2019. Content is available under Datsun 1200 Club.